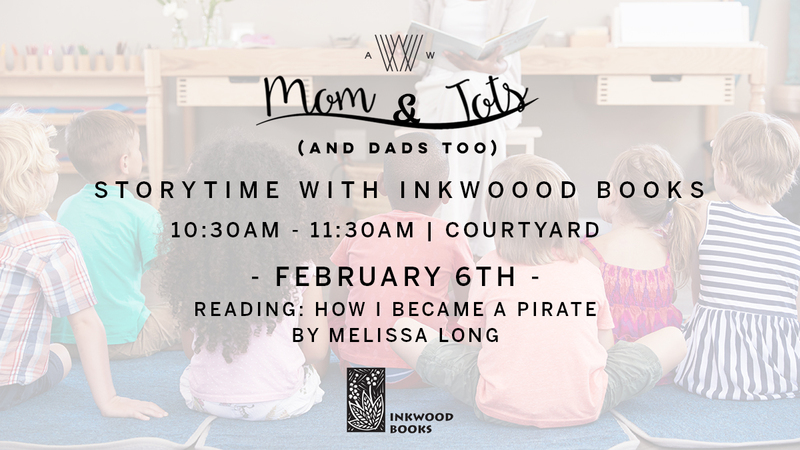 Armature Works and Inkwood Books have teamed up to present the newest event in our Mom & Tots and Dad’s Too series, Storytime with Inkwood Books. Storytime will kick off Wednesday, February 6th, at 10:30am in the Courtyard at Armature Works. The featured book will be How I Became a Pirate by Melinda Long, with additional pirate themed books to follow. Attendees can even expect a visit from a local pirate! How I Became a Pirate, along with other children’s books, will be available for purchase at the event with a portion of sales going to benefit Bess the Book Bus, a mobile literacy program for kids.